October 31, 2017 — Researchers have long pondered on the origin of delicate criss-cross facetted patterns that are commonly found on the surfaces of broken material. 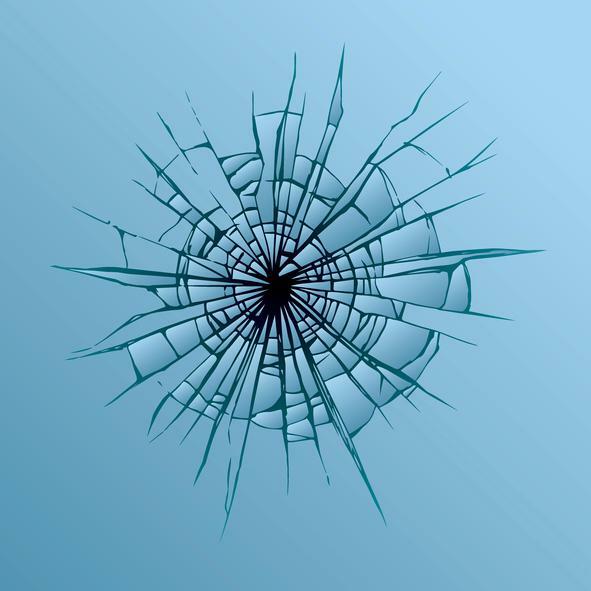 Typical crack speeds in glass easily surpass a kilometer per second, and broken surface features may be well smaller than a millimeter. Since the formation of surface structure lasts a tiny fraction of a second, the processes generating these patterns have been largely a mystery. Now there is a way around this problem. Replacing hard glass with soft but brittle gels makes it possible to slow down the cracks that precipitate fracture to mere meters per second. This novel technique has enabled researchers Itamar Kolvin, Gil Cohen, and Professor Jay Fineberg, at the Hebrew University of Jerusalem’s Racah Institute of Physics, to unravel the complex physical processes that take place during fracture in microscopic detail and in real time.